Goodgame Studios, Germany’s leading game software developer and publisher, comprises of talent from all over the world creating a high-performing team that thrives on its cultural diversity. One third of the staff have joined the company from abroad, which is more than 400 international employees coming from over 60 different nations. Today, Goodgame Studios signs the Diversity Charter to publicly express its dedication to diversity. At Goodgame Studios, diversity is an integral part of the corporate culture and an asset that benefits the company as well as its employees. A very positive working atmosphere and open-minded colleagues allow collaboration to be based on mutual trust and respect, making everyone feel valued for their strengths and contributions. Over 30 percent of the workforce is female, which exceeds the technology industry average, and the company plans to build on this number in the future. 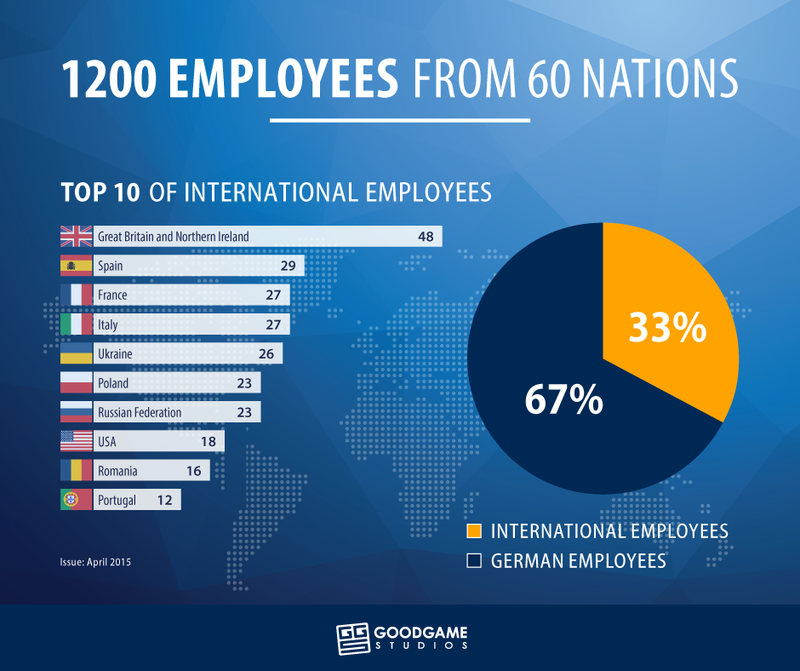 Goodgame Studios also employs a special onboarding team which helps international employees settle in Germany, starting once they get their job offer and continuing throughout the year with regular intercultural events that promote communication and strengthen community spirit. Further initiatives to foster cultural diversity at the company include an LGBTTIQ network, Gaymer & Friends, which promotes acceptance for various sexual identities and offers employees the opportunity to take part in talk sessions and participate in nationwide campaign days. “At Goodgame Studios, we place a lot of value on diversity. Everyone is unique, and accepted for who they are. What counts in this company are qualifications and ability, regardless of nationality or belief. We are signing the Diversity Charter today because we truly believe that living and sharing these values makes a difference,” says Ina Bourmer, Head of Human Resources and Talent Acquisition at Goodgame Studios.